Fifty years ago, renowned American documentary filmmaker George C. Stoney made a series of short training films tackling a tough topic: how police respond to people who are mentally ill, suicidal, or alcoholic, how to do so more effectively, and why the officers should care. 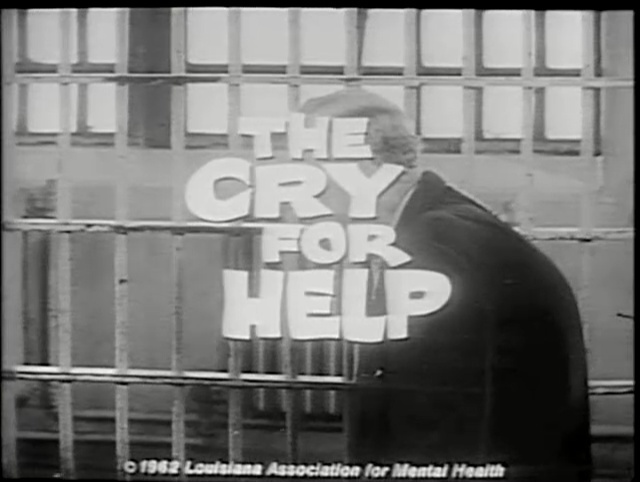 One film in that series, The Cry for Help, 1962, offers a frank depiction of people at risk for suicide. They’re lonely, ashamed, desperate, and ready to choose a permanent solution to their problems. Stoney’s film urges police officers—and other viewers—to understand suicide threats and attempts for what they are: pleas for help and attention that should be answered. The films were intended to be shown to police officers in discussion sessions, with accompanying written material. The film opens with a focus on people in police custody. In this setting, law enforcement is directly responsible for the welfare of an individual. Officers and guards should know how to identify those most at risk for self-harm, and the film doesn’t shy away from specifics. “He was arrested for molesting a child,” says an officer as a middle-aged man, his head hung low, is marched into the booking room. Later, the man, a married teacher with two sons, sobs in a corner of his cell. Beyond the jailhouse, The Cry for Help shows us several situations that can topple some people, if not all. “Each of us longs…to be loved, to be accepted, to be respected.” There’s the student fearful of disappointing his father, a woman humiliated by a boyfriend, and even one of their own, a cop facing serious health problems. The film, deploying discomfiting images and candid narration, suggests how police can respond sensitively to people in emotional pain, and to those that survive them when help doesn’t arrive in time. Stoney comes at it from the other side as well; that is, what not to do. An officer responding to a call from a woman who has harmed herself reads her intended suicide note aloud and scoffs, belittling the woman in the presence of a neighbor who has heard the commotion and invited herself into the apartment. Two more titles in George C. Stoney’s police series, Under Pressure (1960) and Booked for Safekeeping (1964), are in NLM’s collection and will be added to the library’s digital repository in early 2017. The remaining two titles are The Mask (1963) and The Man in the Middle (1966). His best-known film, All My Babies (1953), about rural midwifery in the American South, was added to the National Film Registry of the Library of Congress in 2002, and is also available online in NLM Digital Collections. Stoney taught filmmaking at New York University from 1970 through 2012, the year he died, and was also was a pioneer of the public cable-access movement. Check NLM’s LocatorPlus catalog or contact the Historical Audiovisuals Collection for more information on our mental health related films and videos. 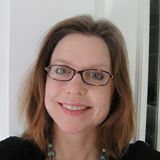 Sarah Eilers is the Manager of Historical Audiovisuals in the History of Medicine Division at the National Library of Medicine.